Adriano Smaldone was born in Italy in 1979. He graduated in cinema at Bologna University. In 2003 co-directs the short films: Toni da Guine e A Terra, os Velhos, um Homem and directs Esta Mentira for the Communication Departament of Universidade Nova de Lisboa. Between 2005 and 2007 he is director and production assistant in several documentary films (as La Tempeta by Marcello Vai, Laura by Graça Castanheira, A republica dos minìnus by Flora Gomes) and festivals (as Doclisboa, European Film Festival, Lisbondocs, Doc's Kingdom). In 2008 he is co-director and editor of the institutional videos of AEPGA and Associartecine associations. In 2009 he is co-director of Canto da Terra d'Água produced by Terratreme. Adriano is vice-president of the Il Sorpasso association, dedicated to film promotion and distribution in Portuguese-speaking countries through the Festa do Cinema Italiano, film theatres, TV, DVD, and VoD. 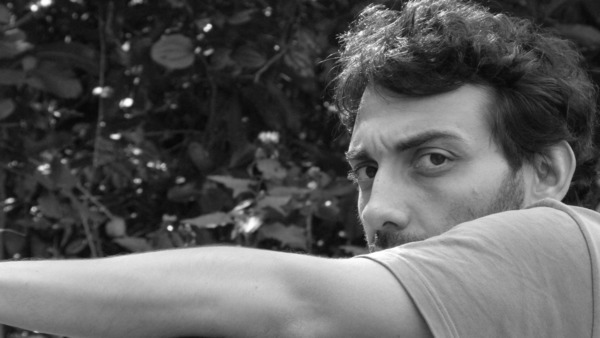 Since 2011, he is a programmer at Doclisboa and Festival 8 1/2 – Festa do Cinema Italiano. Since 2013, he is the responsible for the programming and for the distribution of the Il Sorpasso association.